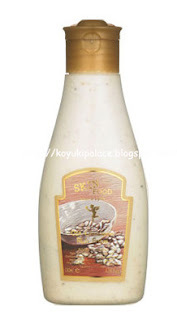 Skinfood Oat Cinnamon Rich Foam is only available in Korea and Taiwan, not available in Hong Kong. Contains wheat seed, helps to exfoliate but not irritate your skin. Since there's not a lot of seed, it works as a gentle exfoliator and can be used everyday. Rich soft foams are more suitable for dry skin, but it cleanses very well on me (I have normal to oily skin). It feels so soft and fresh afterwards! The foam is soft and silky, easy to foam up, cleanses well and yet still keeps your skin moisturized. I feel that every single one of my pores is clean. I personally don't like cinnamon, but the smell in this foam is light. The price is great, but I'll probably try some other Skinfood cleansing products next time. Skinfood has so so so many different products.